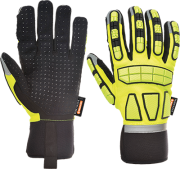 The Tricolore System enables you to quickly and efficiently identify the correct glove for the job. Red: Stop – only for Cut Level 1 applications. Amber: OK – fine for up to Cut Level 3 applications. Green: Safe – glass cut resistant and perfect for up to Cut Level 5 applications. 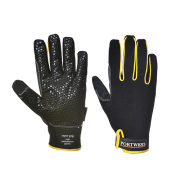 NFT™ nitrile foam coating enhances protection as well as providing good wet grip by channeling away excess fluid from the glove surface. 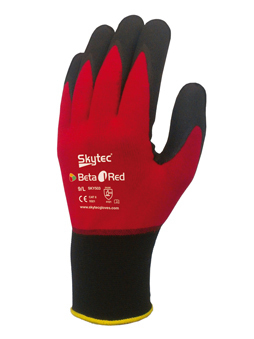 Excellent grip in wet, oily or dry conditions. 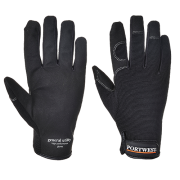 Machine knitted liner made from Nylon/ Spandex which gives good fit and sensitivity, superior comfort and dexterity 18gg extremely lightweight seamless liner glove with solid knit wrist.